Earlier this month I runfessed about getting a ride to my house from a stranger after my remote key fob failed to open my car. The "what ifs" haunted me for days after. I runfess that I have not been back to the retention pond since then. I'm still a little uncomfortable about what happened that day. I just need to put a little space between that incident and my next run there. 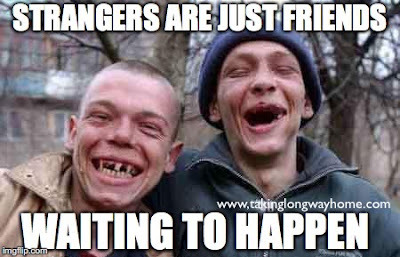 Maybe time will help reduce the awkwardness factor if I see my new "friend". Of course, I had major regrets about DNSing that race on Sunday. You knew I would right? I runfess that I stalked the AG results and when I saw that my nemesis won our AG, I felt a little better for not running. 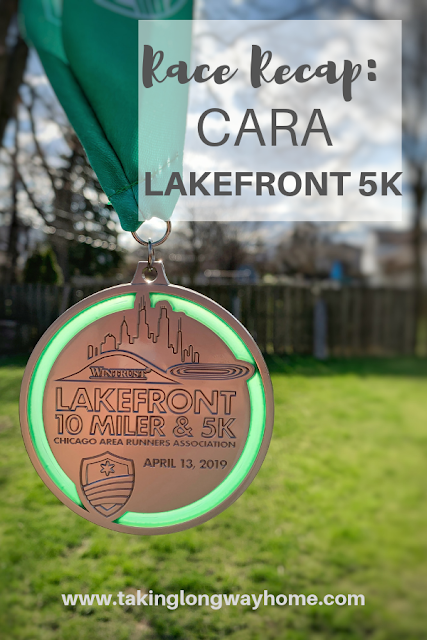 Not that I'd ever win an AG award for a Chicago half marathon. But still. This local woman is so fast, I don't have a chance of catching her. That was my story and I'm sticking to it. I runfess that sometimes when I'm running a race, I check out the other runners and think to myself, "that person's faster than me?" I'm always amazed at what people who "don't look like runners" can bring to a race. Of course, there is the opposite too. Which begs the question, what does a runner look like? Clearly, you can't judge a book by its cover. In preparation for my Book Club Book Review last week, I asked the publicist if I could do an email interview with Amby Burfoot, the author. She instead offered a phone interview with him, giving me a choice of dates. Then...crickets. I never heard back from her, not even when I sent her a link to the published post. Odd, right? This week she emailed me to ask me to review Chrissie Wellington's book and interview her. 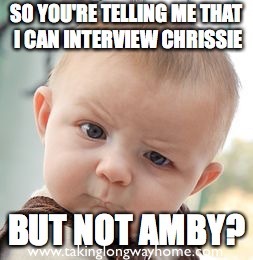 What happened to my interview with Amby? Is this some kind of weird bait and switch thing? I runfess that I'm taking a pass on this one. I runfess that I'm a more than a little nervous to get back on my bike after my crash 2 weeks ago. The wounds are almost healed up but I'm feeling a little PTSD. I'm not afraid to ride my bike, it's that I'm afraid to ride on the road, in traffic. While a car didn't actually cause my crash, I had a few drivers do their best to intimidate me and that has really messed with my head. I don't know how people drive by you, but drivers here are really aggressive and not very courteous. I'm working to put this behind me and I'm planning on hitting the road in the next week or so. Some cyclists are really aggressive. I actually saw this guy yesterday. He was flying and wouldn't let me pass him. When I finally did, he tailed me. Blew every stop sign, even when a car was coming. How was the month of May for you? Smooth sailing or MAYhem? What do you have to runfess? Any tips for psyching myself up to get back on the bike? Do you ever look at other runners and wonder how they are so fast? Or why they run so slow? I'm linking up with Marcia for Runfessions and with Fairytales and Fitness and Running on Happy for the Friday 5! Have a wonderful weekend and see you on Sunday for the Weekly Wrap! 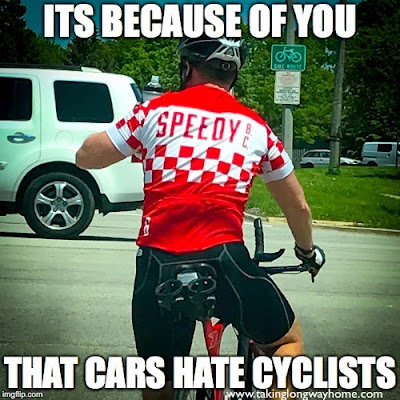 There are definitely jerk cyclists out there and I know they are the reason that some drivers hate us. Hell, I do too sometimes. But some people are just crazy out there, doing their best to scare and intimidate bicyclists that aren't doing anything wrong. That's what happened to me a couple times before I crashed. I was pretty rattled by that point. I am also guilty of checking out other runners and wondering how they're slower or faster than me. Then I feel guilty for judging them and stop thinking about it. That gif of the race walker just looks painful, I couldn't stop watching it. It's perfectly understandable that you're hesitant to put yourself out in traffic after your crash. When I ride I plan my route and time I'm out there to minimize being with cars and still there are SUCH JERKS out there. I had a lady veer across traffic straight for me today because she was distracted by her phone. Ugh. I'm pretty delighted that MAYhem is just about over. This has been a hell of a month, hasn't it? Even with the mild traffic in my town, I don't do much cycling. Although my town is relatively "big" in comparison to other Iowa towns, it's definitely a "MAYberry" atmosphere (See what I did there? )...people don't use turn signals, etc. nor do they seem very aware of anyone not in a car (whether it be runners, walkers, or cyclists). We have a couple of trails, but they get boring after awhile. I don't have clip-ins, and for good reason....what happened to you is something I constantly fear. I'm sure once you get past that first ride back on the road, your apprehension will be gone, or at least minimized. I keep thinking that the clip-ins are what kept me from breaking my arm. Since I went down with the bike, I couldn't brace myself. It was actually a good thing. This month was totally Mayhem! That term kept coming to my head this month and its so accurate. We have so many aggressive and unsafe drivers around here that it makes me too nervous to ever consider a bike. Whenever I see cyclists out I get so nervous for them. Is there anywhere you can ride with little to no traffic? I don't blame you for being nervous to get back out there! I mostly ride on trails, but I have to ride on the streets to get there. I could port my bike in my car but ugh. Love the "Mayhem" in the title. I don't care if you did steal it - I give credit to both of you! I thought I was the only one with a running "nemesis". There is a woman who lives near me who is the same age as me. Sometimes I am faster than her; sometimes she is faster than me. When I see her before a race, I always think "Uh oh! "Gets my competitive juices flowing!!! It's more fun to have a rival, don't you think? Keep it real and humble. I don't ride a bike because I am terrified of riding on the road with other cars. I see how aggressive the cars are here when they have to share the road with cyclists and it's just crazy! I guess I need to stop being so judgy! I wish I would have heard "Mayhem" earlier in the month - so funny! 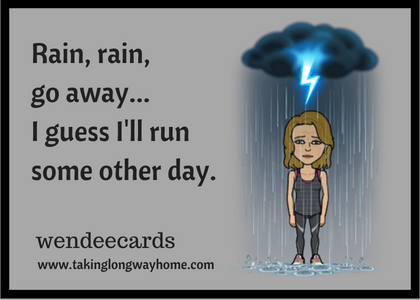 It's been raining here so much too - hoping to get in my run before it starts again. I hope the rain goes away! We're going to be roasting this weekend. I have had quite the MAYHEM over her as well. I totally get that you would be anxious about the bike. I don't like to ride anywhere near cars and mostly stay on the bike path. I almost got knocked over by a woman and her long dog leash which really freaked me out. Oh, those long dog leashes are such a menace! 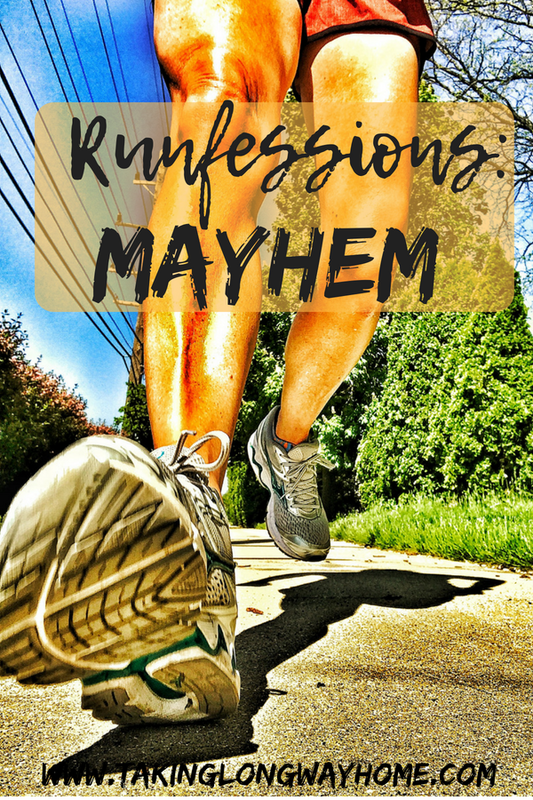 You definitely had some mayhem going on this month! I actually had a pretty quiet May but work was ridiculously busy. I'm sorry about your crash, that would definitely make me nervous. And I hope that you eventually make your way back to the retention pond in time! I'll get back there--I just need to put some space between me and that incident. I'm sorry to hear about your bike crash. I will have to go back and read. I understand what you mean about feeling uneasy about what happened at the pond. A couple weeks ago, Paul and I were hiking and we both took a risk on the trail and I felt sick about it ever since. Basically, there was a rock scramble and this one spot was a straight fall to our deaths but we scrambled past it anyway. I tried to push the memory out of my mind because when I think about it I get anxious and angry at myself. I did that last year when I was up on a bluff in northern Wisconsin. Same thing and it was so stupid. Ugh. I'm scared of drivers when I'm in my car! I'm always aware of cyclists around here since it is Colorado, but drivers are so distracted these days. Isn't that the truth? I see people on their phones all the time! How is it the last week of May already. This month definitely flew by. I think we all eye up others during the race and compare, even though that is not healthy. I just try to compete with myself only. I say that I only compete with myself and for the most part, that is true. My hips hurt just looking at your gif. Thankfully, the traffic is light where I ride. What makes me nervous is riding with a pack (in an organized event). I agree with what you commented about falling while clipped in; let the bike take the brunt of it. If I were you, I'd go to a relatively quiet trail to get back on that horse. I have to say, the motorists in our area are very good when we ride our bikes, though we are rarely on very busy streets. I mentioned my husband's baaaaaad bike crash in July of 2013. Early that fall he got on the bike and rode around the block. I think it was a huge thing for him, though he really played it down. He's back to 'regular' biking, but I know it was a process to get there. I'm just a little gun shy, but I'll get back on it. I love it too much to not ride! I've definitely had the same thought when I look at other runners. I think the difference in ages/body types/running form t's more pronounced in ultras when the playing field is leveled more. I'd agree with that too! Accepting rides froms strangers is scary, I've never had to do it and hope I never have to. Glad you were safe. I'm really scared to get hit by a car on my bike. I try to stick to trials but that doesn't always work! I ride the trails but have to ride the roads to get there. 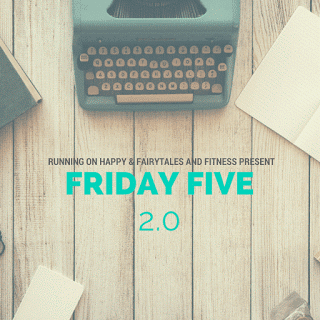 Oh gosh, it is so true about checking out other runners or even other types of bodies in fitness classes. It's so inspiring to see different bodies doing amazing athletic things! I can so understand being hesitant to get back out into traffic on your bike. We have a couple of cyclists who ride through my town who really give cyclists a bad name. We've also got a lot of drivers around here that are aggressive towards cyclists (and runners) - not cool! That guy in the picture above was THE most aggressive cyclist I've ever seen. So I get it. But cars need to give all of us a break. There's just no logic in challenging someone on 2 wheels. I won't ride my bike on the roads outside of my neighborhood - there's a special combination of idiot + jerk drivers that makes me feel super unsafe. Hope your first ride back on the road is a good one. I pretty much only ride on trails and avoid the streets. When I was younger I wasn't afraid of traffic, now on the other hand, I stress out. And people are mean! I do wonder how some people are so fast. 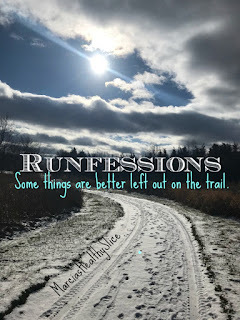 I have been exploring what makes a fast runner...soon to be a post. Have a great weekend! I think it's a combination of genetics and training. I do love my speedwork and it pays off! I would be totally terrified to go back to the retention pond. Then again, I'm terrified about everything so there's that. I guess I'm more embarrassed than anything! Weird that you got dead silence and then offered another runner/author interview. I would probably have done the same thing you did in response to the offer. 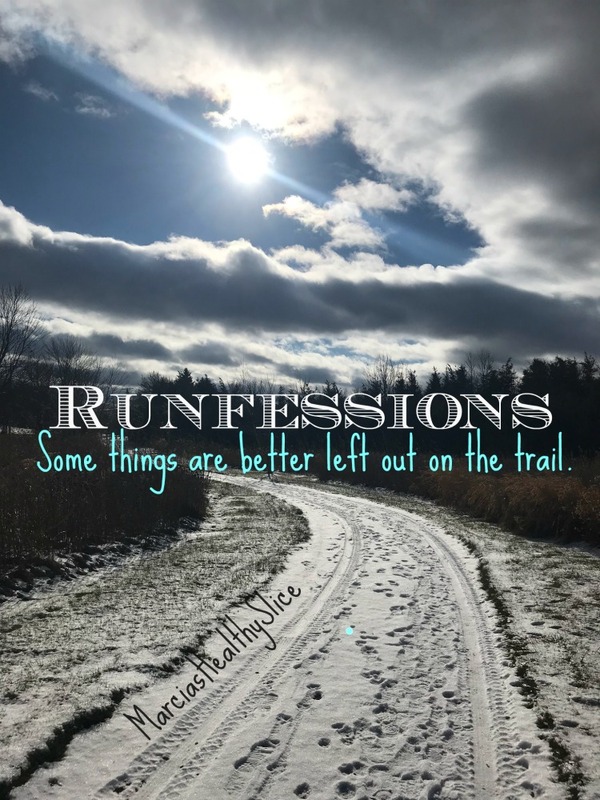 I do look at other runners and sort of "size them up" when I'm out there. Mostly though, it's an admiration thing, thinking wow, good for you! Oh, and totally scary taking a ride from a stranger, glad you are okay! I know, bad judgment call on that one! I don't think it's at all odd that you're nervous about going back into traffic: I would be if I was brave enough to ride a bike in the first place! I can runfess that I'm glad I have decided not to do my August marathon and that means I can just run 20 or so miles a week. But I also runfess that I have got a bit (um) obsessed with my plan to run 1,000 miles this year (I did 800 with a whole month off last year, so it's not inconceivable) which means keeping up the 20 miles a week. Oh well! Happy June running! I somehow managed to do over 1000 last year so there you go! It's not impossible at all. I do about 20 miles/week too. That is my sweet spot! I'm sure runners look at me & think what is it with the walking? Can't she just run? But yes, I am sometimes surprised by what seems to be the disconnect between appearances & ability -- I guess we all are! It's really hard to get back on the horse, so to speak. I guess I'd have to enjoy bike riding a lot more to put up with the inevitable crashes, because I don't think anyone escapes them. Obviously some are more serious than others. Maybe it's just a matter of time. I don't know.